Shagrat comes to the Tower. He shows Sauron the mithril vest. Sauron kills him. 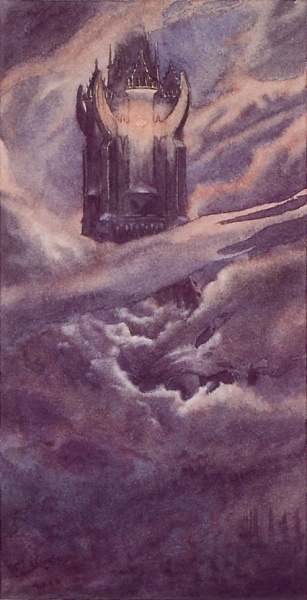 Sauron commands the Ringwraiths to move forward their armies in the north. 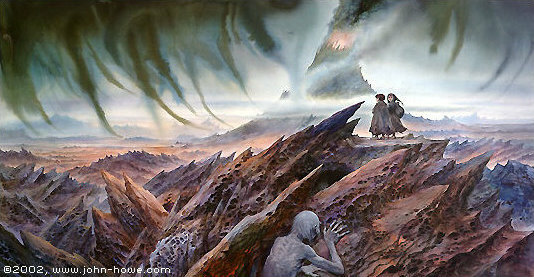 Sam and Frodo scurry away from Cirith Ungol. The Nazgul return from the battle to Barad-Dur. Frodo and Sam run and hide. Under a bridge, they hear an orc company pass above them. They slide down a cliff into a tangle of thorns. Frodo struggles to walk. He takes his orc-mail off. They see the west wind blow away some of the black cloud overhead. They find a stream, the first water they have had in days. Frodo falls asleep and Sam keeps watch. 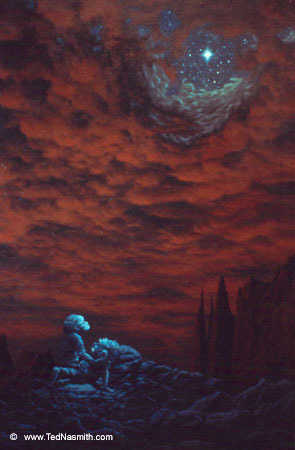 He looks over Mordor and sees in the sky a white star. He falls asleep as well. With his elves departing, Elrond and Arwen receive news from Glorfindel of the victory in Gondor and battles in Dale, Mirkwood and Lothlorien. King Brand retreats to Erebor. 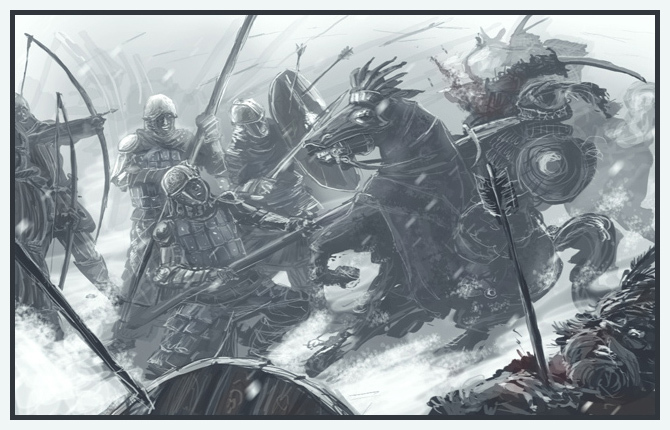 Dain leads the dwarves out to fight. Brand is mortally wounded. Dain defends his body, but is wounded himself. They retreat inside the mountain. The Woodland Realm is set alight. Thranduil rides out and repels the attackers. Celeborn drives back the third assault. Galadriel says they must destroy Dol Guldur. Theoden is carried through the city. Pippin finds Merry. 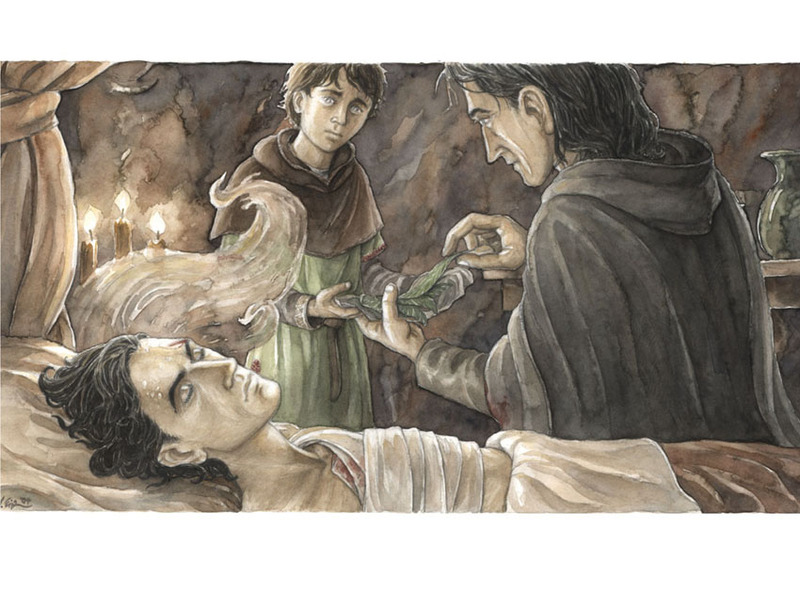 Beregond brings Faramir to the Houses of Healing. Eowyn and Merry are also brought there. Aragorn waits outside of the city for Denethor to allow him to enter. Imrahil tells him of Denethor’s fate. Aragorn appoints Imrahil as acting leader. Gandalf meets Aragorn. He asks for aid in the Houses. He tells Eomer that Eowyn lives. Aragorn asks for kingsfoil. Ioreth sends Bergil to fetch some. Aragorn heals Faramir, Eowyn and Merry, who awake and speak with him. People gather to see Aragorn. They ask for his help in healing. He and the sons of Elrond work through the night. 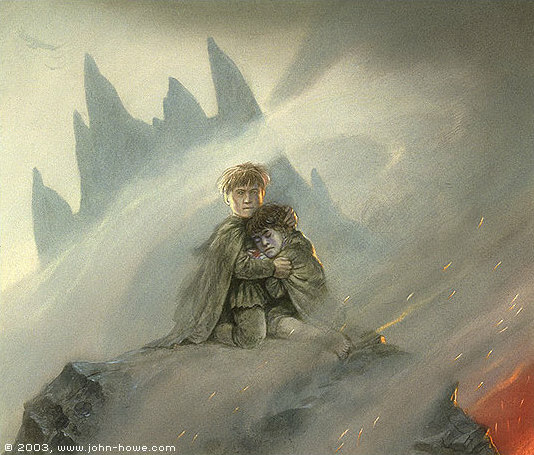 Frodo and Sam see the vast armies of Mordor. They have no choice but to walk through. They overhear two orcs talk of a great elven warrior on the loose. Sam thinks he sees Gollum spying them. A battalion of orcs come up behind them. They hide but are spotted and forced into line. Frodo stumbles. As he does, another orc company crashes into them. Scuffles break out and Sam drags Frodo out of the lines and into a pit.